There are two types of Arena PVP in ArcheAge: 1v1 and 5v5 Arena. The 1v1 Arena Varient is a large circular Arena with No line of Site or special buffs. Each player spawns and is given roughly 10-20 Seconds to prepare for battle. Afterwords they are dropped onto thier respective sides to duke it out. A kill signifies the end of a round. If a player kills his oppenent twice they are declared the victor and the arena ends. It is to be noted that if both players die simultaniously in a round they are both granted a killing blow during the round in question. How / where to join? The 1V1 Arena Varient is a large and simple circular Arena with no special buffs, just the first person with 2 kills wins another player. 1V1 Arena is more rewarding, but requires you have decent gear, cool skill and a viable 1V1 skills, such as Darkrunner, Skullnight, Daggerspell, Arcanist are very good for 1V1. This Arena is very good for PVP beginners. There is a cool ArcheAge video by Seatinmanoflegends player about LV50 Primeval (Archery + Shadowplay + Auramancy) 1v1 arena carnage. 5v5 Combat takes place in a linear arena with both Line of Sight and Height variables. It also rewards killstreaks with a set of extra abilitys that can be toggled once per match depending on how mahy kills you streak. These abilitys include the ability to become invincible, summon an NPC dog, and spawn a cannon. 5v5 Arena ends when either a team with more kills runs out the timer or either teams base is detroyed. Each team has a crystal which they must protect, although it does have two cannons they are fairly easy to destory so you should not leave your base undefended. Talking to a Arena recruiter in main capital city. Open your map – merchants – Arena Recruiter. 5V5 Arena with less rewarding, but can gain special titles which slightly increase your Maximum Health and Honor Gain. 5V5 Combat is very funny PVP mechanics in a linear with both Line of Sight and Height variables, the more kills, the more unique arena abilities you unlock, such as summon wolves, NPC dog and cannons, become invincible, buffing yourself, healing yourself and so on, but need note most of abilities you can only use one time. 5v5 Arena ends when either a team with more kills runs out the timer or either teams base is destroyed. Each team has a crystal which they must protect, although it does have two cannons they are fairly easy to destroy so you should not leave your base undefended. How to gameplay in 5V5? If you are a ranged, should use the towers and bridge in Arena, and the melee should slyly attempt to stop the other team getting to difficult points. If you are a melee, shadowstep is the good skill in here. If you team lack a healer, you should quickly retreating back into your base to restore your Health and Mana when you want. Flame mobs drop a stick of dynamite, good for to destroy the large wooden crates. Life mobs drop a temporary max health for 3 mins. Pain mobs drop a reduction damage buff for 3 mins, most useful and worth to kill. This quest just need you kill opponents in arena, will reward you the Honor and at Rite of the Gladiator 3, 6, 8, 10 and get a title increase you max health and honor gain at the end of arena. Note, the honor gain just apply to 5V5. OK, a great video about LV50 Darkrunner 5V5 arena by SniperNamedG player you can watch. The Archeage has updated 150Mb on October 21, the new path 1.2 Build 4.13 has released now! This update aims to greet the Halloween festival activities. Harvest season is coming, the holiday event Hallowtide will be held from October 21 to November 4. Hallotide is the first holiday event in Archeage, you can see massive pumpkin head in the game. In addition, this path limited the number of character in general chat channel. This event held in Austera and Ezna two big harbor cities, as you can see from this picture, full of kinds of pumpkin heads and pumpkin balloon. Isn’t enough? All players can increase the number of pumpkins through completing daily quest. The reward of activity is goodie bag, to complete this quest you need collect 10 pumpkins. You can purchase it or plant it to complete quest. Can we stock the pumpkin and resell it to earn archeage gold? To open the bag, you will acquire some candy and materials randomly. What’s more, various sweet halloween skins style we can choose, all limited edition! In ArcheAge, you have to level your character to a certain level in order to participate in the high level content of the game as quickly as possible. So, in this guide you will have all the essential tips you may need to optimize your leveling. When you accept a new quest, an indicator in the form of an arrow with a specific symbol/number and color will appear around your character, showing you the direction you need to take to reach the quest location. No need to get frustrated if you cannot find the monster you need to kill. It was either already killed by another player and will soon respawn, or you are at the right coordinates, but on the wrong floor. Quest indicators will also help you in finding items that may be hidden by the terrain. Never pass a quest just because the reward for it seems trivial. Sometimes this quest will lead to a longer chain of quests offering better rewards, and rare items. Pick up all the quests that you come across. Also be sure to check your mini-map for quest exclamation marks that will not always appear on your screen. Some of the quests in ArcheAge have completion conditions that vary from the others. Indeed, upon reaching 50% of the quest conditions (4/8 monsters killed for example) you can submit the quest as an Early Completion. If you exceed the quest condition however (9/8 monsters killed) the quest switches to an Extra-Progression status, up to 150-160% (12/8 monsters killed) of the quest condition where it earns the Overachieve status. Completing the quest earlier will save you some time but reduce the EXP rewards, while Overachieving will take you more time, but boost the EXP received. Which one you choose will depend mostly on your play style, but if you want to level faster, Overachieving will help greatly. ArcheAge has a number of hidden quests that normally involve killing 15-20 of the same mob to reach the objective. The catch is that these quests will remain hidden until you actually kill the number of monsters required, where a quest completion tab showing the amount of EXP you received will pop up. Look for guides and such that tell exactly where these quests are located to save time, or to decide if they are worth it or not. As soon as you have the option of using your labor points, use them to harvest crops, chop trees, mine ores or even do a trade run. These essential components of the universe of ArcheAge not only allow you to gain ArcheAge gold and resources, but also give you a decent amount of EXP that often exceeds what you get from the early mobs. One of the basic methods to level in the average MMO is by killing mobs one after another. This is not the case in ArcheAge. While you can still level that way if you want the full Sandbox experience, the EXP you receive from monsters can be pretty minimal, and must thus always be done with a purpose in mind (for quests, Overachieving, or items). In fact, leveling by killing mobs would have been a viable option if it weren’t for the fact that they aren’t easy to kill. If you think you can take down a monster with a couple of hits, or that you can take on a whole group for faster kills, you’ll be in for a huge surprise. Most of the time you’ll only be able to take on 2 monsters at most, and even then you will have to pay attention to your health bar as it dwindles pretty fast. Moreover, your Mana is limited and will go down fast the longer you fight. As stated above, killing monsters isn’t that easy, and it will often take you around 4-5 of your skills to take one of them down. So why not save your time and Mana by getting other players to help? They will also receive EXP and complete their quest objectives. Not to mention that they’ll be here to help if you aggro too many mobs. 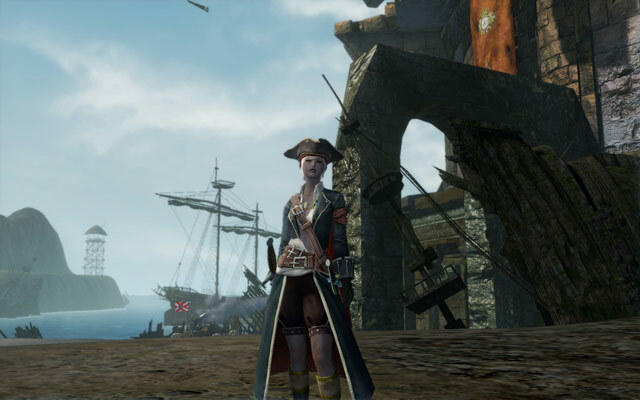 Villanelle is also one of the three major ports (Ynystere, Villanelle, Solis Headlands) in archeage eastern continent Haranya. The levels of monster is 24-27, temperate climate, protected zone with a Aquafarms (blue circle). It is a very good position for trading to earn money on sail in the middle of Haranya, was the port of protected areas originally that you can go three directions of North, South, and West. There are 9 areas you can choose to build house in Villanelle and 1 area for Aquafarms. Housing areas are very fragmented, there are several areas very characteristic and each housing area is not too large. Overall, Villanelle is very good for individuals and small groups for trading, so fast to grab a piece of land in here is your best choice, especially the number 1, 2 and 3 areas. The number 1, 2 and 3 areas are the best places close to the sea for building house in Villanelle. It is very good place for any house or field to earn ArcheAge gold much. You should know less than half the area of Villanelle is a port city of Harani, so these three housing places are live inside of port city. No only can go to Cinderstone Moore of western continent Nuia with your ship / boat directly, but also go to Solis Headlands close to the shore of below protected area and then go to Sanddeep of Nuia for trading with specialty, even more go to the north of Mirage Isle is not too long. The number 4 place is a big housing area for Medium to Large-Sized house and Manors in the middle of town. This land not only is not out of the city but also next to the house with a stone road, it is also a good place to build house in here. The number 5, 6 and 7 housing areas of inland are very general for house or field, unless you just need grab a land in this map. The number 8 and 9 housing areas you need jump off the cliff to close the sea, it is not very ideal for trading. To become a pirate you need to achieve 3000 infamy points but there are a few ways to accomplish that. This is perhaps the most common method of becoming a pirate. You basically just murder people of your own faction in the PvP zones. This will leave bloodstains behind that other players can report you for. These reports will add crime points to your character. This can be achieved either by killing higher level players or by griefing your low level faction players in the level 30+ zones. This method can cause you to spend a lot of time in jail because it is likely that you will also be killed and teleported to a court room to stand trial. If you are found guilty then your crime points are converted to infamy points. If you are found innocent then you will lose infamy points, which isn’t helping your cause but this is out of your control. It is quite common for people to plant “off the grid” crops to try and earn some extra materials/Archeage gold on the side. If you find these you can uproot them. This will leave footprints behind that players can report. If you have friends then you can just follow the above methods together to do it faster. You can each plant crops and uproot them or you can kill each others mounts as this also accumulates crime points rather fast. Just make sure to be in a PvP zone or it won’t be possible. Along with the popularity of ArchAge and new patch update, the need of ArcheAge Gold becomes greater and greater. Are you leveling and farming ArcheAge Gold so difficult? You can make money by mining, planting, crafting, trading, etc in ArcheAge, but which way is the fastest? Choosing archeage-store.com is your best choice, we have prepared you abundant cheap ArcheAge Gold, ArcheAge Items cheapest in various servers. What’s more, our gold and items are handed by professional ArcheAge team. Free to contact us 24/7 online if you have any problems in our store. ArcheAge Mounts are a kind of easy and convenient mean of transportation on land. There are a variety of mounts for different races in the game. The mounts in ArcheAge include horses, donkeys, snow lions, elks and so on. The Yatta is purchasable multipurpose mount. It can be obtained from any Stable Master NPC and used by all races. For players, you can have one or more mounts all over the game world. You can gain the first mount by completing the early quests. Horse: The Nuian Race can obtain them by the default quest. Snow Lion: The Firrans can gain by the default quest and other races can purchased them. Elk: The Elf race is obtainable by the default quest mount. Leomorph: The Harani race can gain them by The quest obtained. In general, if you want to more, you have to get a mount babies. Then you need breed them until they grow up, which is quite important part. Donkey: It is one of the fastest pack animals in game. Sled Cow: You can purchase the fairly novel mount on Mirage Island..
Tiger: It costs honor points. Of course, some mounts can be available as rare rewards. Take Roar of the Earth for example. The mounts are obtainable by killing raid boss.